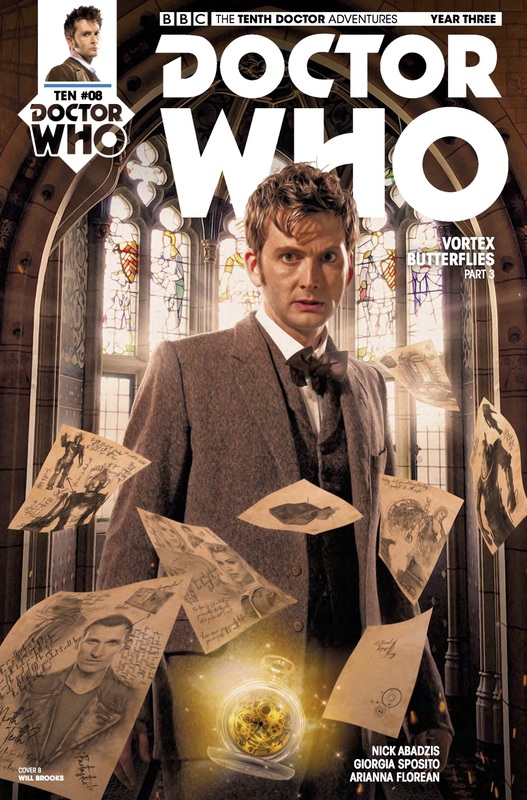 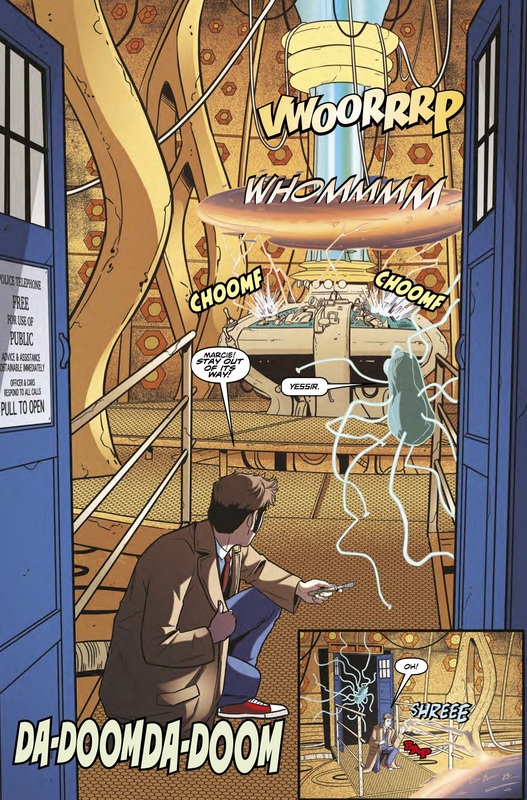 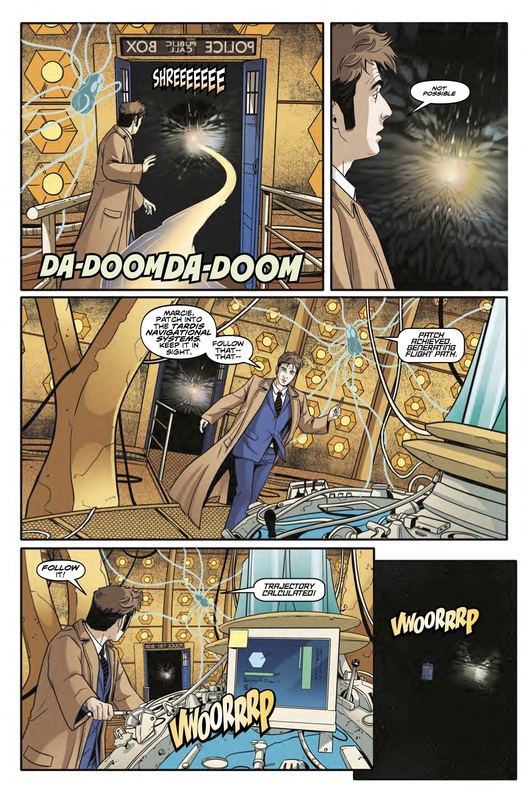 The Fellowship has obtained a first look at DOCTOR WHO: THE TENTH DOCTOR YEAR THREE #8 from Titan Comics. 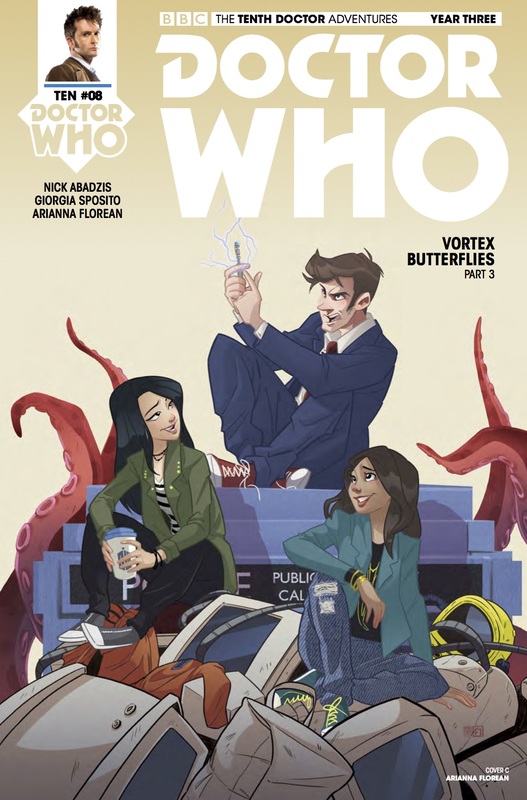 The issue, which hits stores August 16th, is written by Nick Abadzis; with art by Giorgia Sposito. 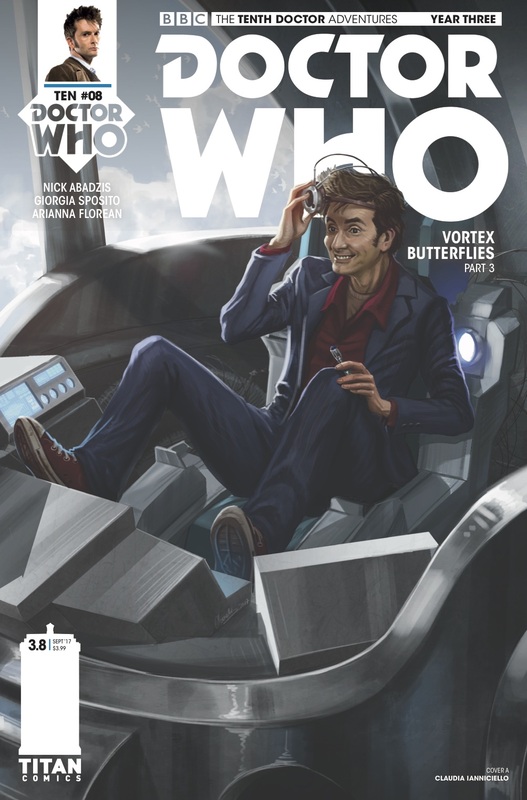 The covers are by Claudia SG Iannicello, Will Brooks (Photo), and Arianna Florean. 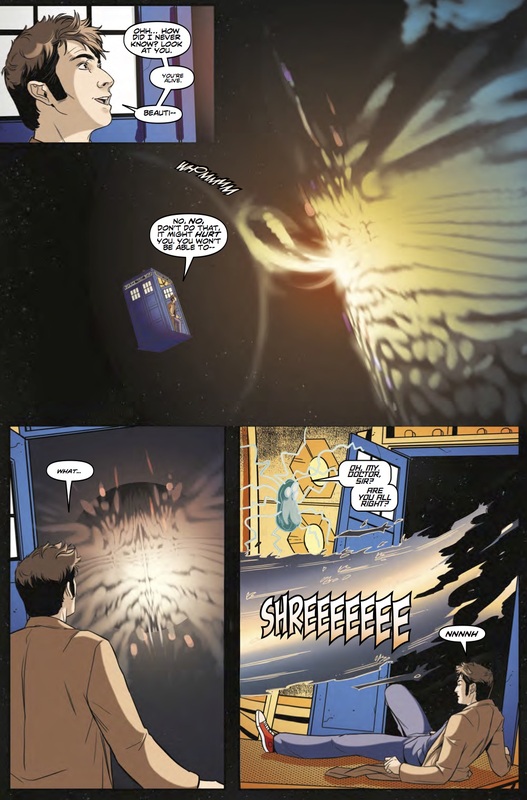 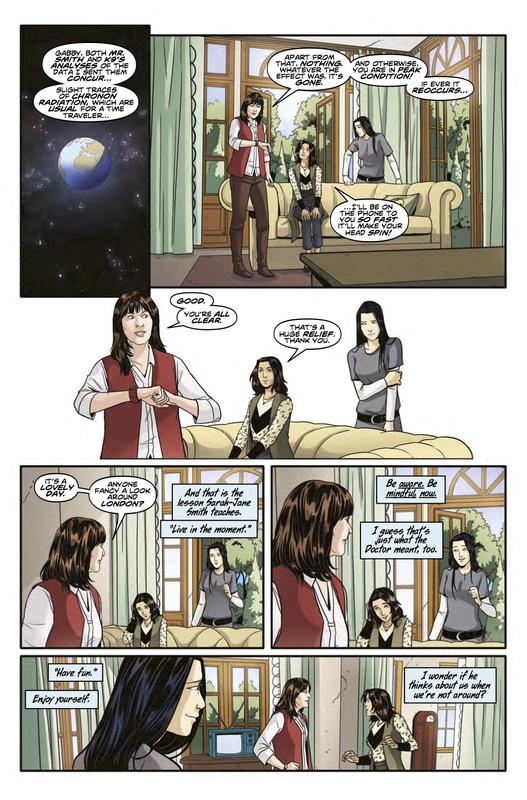 ​More shocking revelations for the Tenth Doctor, as played by David Tennant, as the true extent of Gabby's powers starts to become clear...and Cindy's response changes everything!